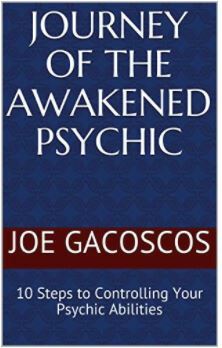 How Psychically Gifted Are You—The Details | True Insights Spiritual Energy Healings and Readings with Joe Gacoscos Intuitive Channel, Psychic Healer, Starseed Awakening & Psychic Development Teacher | Serving Silicon Valley, the East Bay, San Francisco Bay Area, Union City, Fremont, Hayward, Newark, CA and Beyond! Congratulations on taking the "How Psychically Gifted Are You" quiz! Were you surprised at your results? 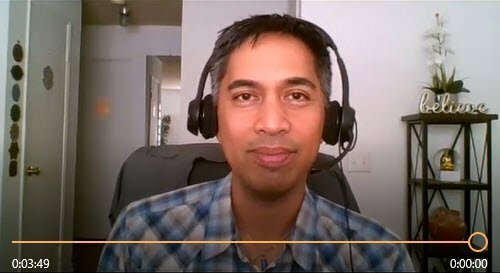 As promised, scroll down to view the details behind each question. If you marked “Yes” to any of the following questions, you received a point to help score your quiz. The questions are regrouped accordingly. I believe in psychic phenomena, that there are planes of existence beyond our traditional five senses. Many psychics report being able to sense beyond the traditional 5 senses. This is that 6th sense you may often hear about. The other planes of existence can include other dimensions, intergalactic planes, the Astral plane, dreams, and or trance medium realms to name a few. I often sense things will happen in advance such as major events, running into unexpected acquaintances, or receiving messages from friends. I’ve received text messages from friends just right after randomly thinking about them, as if it were de ja vu. People with this type of cognition often report knowing of major earthquakes before they happen, for example. This is an example of clair-cognition. I can see energies such as chakras, auras, angels, or spirit guides. I see dead people. Seriously. And they don’t always look so good. People who see energy are known as clairvoyants. I often hear messages that seem to come from a higher plane such as directly from angels, spirit guides, or dead relatives. Sometimes I hear what sounds like background noise of a collective of thoughts or voices—and I know I’m not just hearing things. I communicate telepathically with people or pets without actually verbally speaking with them. I seem to be able to send messages to others with my mind. I’ve experienced where they’ve actually received these messages without actually speaking to them. I often can feel the emotions other people are feeling. I can often feel the energy of a room I walk into—these can often be dark or heavy energies or at times the energy doesn’t feel right. When taken to what’s known as Clairsentience, you can not only feel what others are feeling, you also get other information surrounding what people are feeling. I can often think of things and then they just effortlessly happen or come into being days or even moments later. I sometimes get the sense of being extraordinarily lucky, that I often get what I want with no effort. Have you noticed that some people just have the golden touch to think about what they want and then it happens? I sometimes experience becoming like another character altogether, as if I’m a whole other personality—sometimes I’ll forget exactly the details of what I actually said or did. I sometimes experience being in a trance state where it’s as if spirit is working right through me—whether it is be speaking, writing, or even acting—it seems like it’s not actually me.